How to Start the Slideshow from the Current Slide in PowerPoint 2013? Here’s a simple tip/trick that lets you start the PowerPoint presentation from the Current Slide in Microsoft PowerPoint 2013. 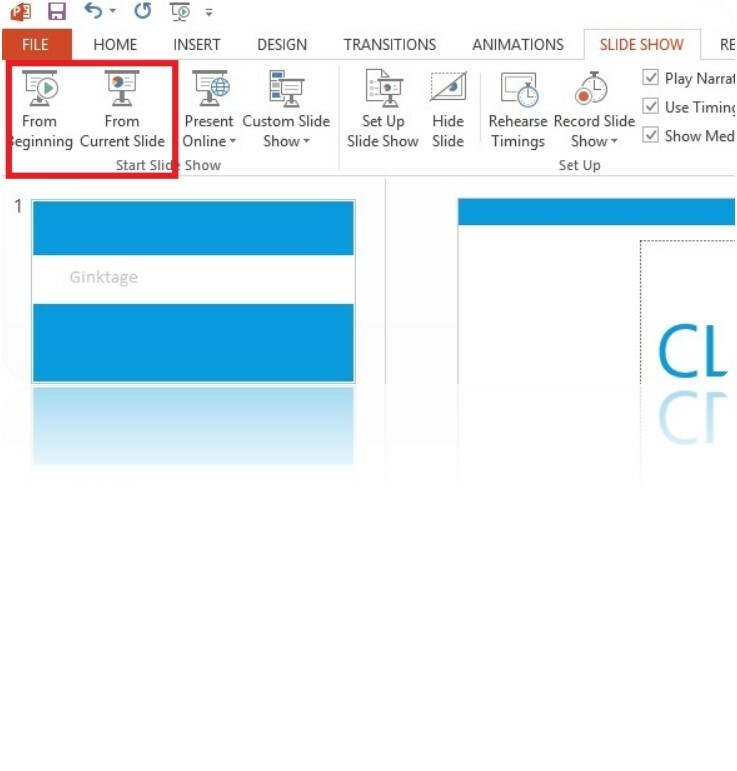 Generally, we can start the PowerPoint slideshow using the “From Beginning” button available in the “Slide Show” tab in the ribbon. This is equivalent to using the shortcut key “F5” and this starts the presentation from the beginning. The “Slide Show” tab also includes an option to start the presentation from the current slide which will start the presentation from whatever slide we are in. Alternatively, we can use the shortcut key “Shift + F5” to start the current slide. This is a useful feature especially when you want to switch between demo and slides during presentations or seminars.